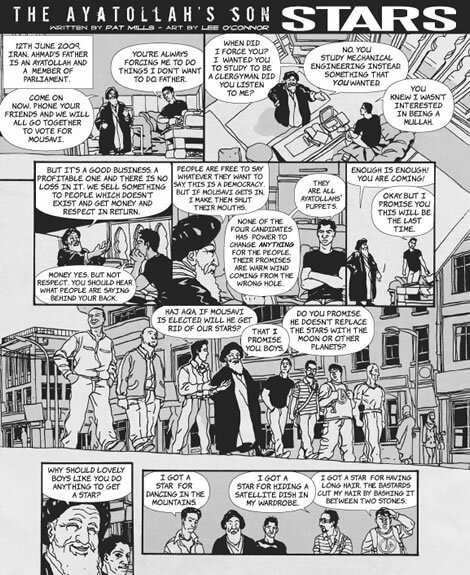 The 2009 Comica Festival launches in London on 5 November and Paul Gravett talks to Andrzel Lukowski about Ctrl.Alt.Shift Unmasks Corruption, the comics anthology he co-edited with John Dunning and Emma Pettit, which is being launched at Comica ‘09. Whether you’d consider the comic book as having come of age when people started calling lengthier ones graphic novels, or at some specific point thereafter, the days when the term suggested nothing more than Lycra-clad crimefighters are hopefully long gone. In its short lifespan, UK-based magazine and cultural initiative Ctrl.Alt.Shift has staged an impressive array of awareness-raising artistic interventions, from last year’s HIV/Aids and Stigma dance event at Sadler’s Wells to a recent film project in which the likes of Julian Barratt and Martin Freeman starred in activist shorts written by up-and-coming film-makers. 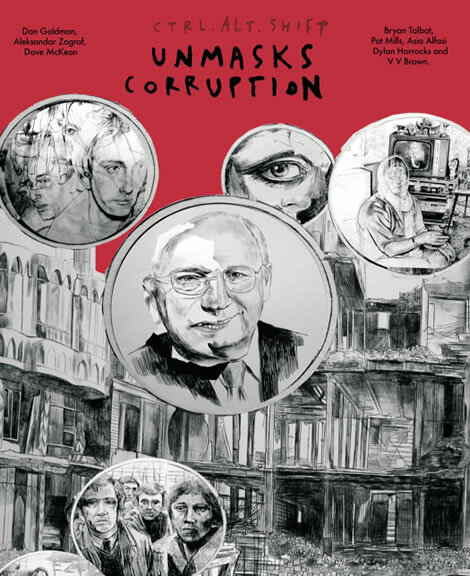 Unmasks Corruption is a powerful entry into a new medium for Ctrl.Alt.Shift. The theme is corruption, political and personal, a broad launch pad for a punchy 24 stories in 100 pages. Inside, artists and writers offer visceral renderings of, for the most part, real-life events that no photographer or camera crew could ever have documented lucidly or safely. So we have the likes of The Ayatollah’s Son, in which Pat Mills and Lee O’Connor team up for a stark account of the chaos that ensued after the recent Iranian elections; Benjamin Dickson and Warren Pleece offer Not One Minute Of Silence, a sorrowful spotlight on the Columbian police’s callous execution of student Jhonny Silva Aranguren; and Black Holes, a truly horrific account of the Chinese government’s failure to deal with the country’s Aids crisis, drawn by Dave McKean and penned by an anonymous author. There is a worry that despite some potshots at the West and the first-hand testimony involved, Unmasks Corruption may come across as a group of Western artists sniping at predominantly developing world and Middle Eastern targets. Naturally Gravett refutes this, with particular reference to Judge Dredd-scribe Mills’s script. It’s important to bear in mind that comics aren’t relentlessly grim, down-at-heel affairs. Quite aside from the satire, there are many moments of sci-fi escapism here. Most notable is Behold, King Listpin III, which furthers Ctrl. Alt.Shift’s commitment to new talent by setting musician/artist Lightspeed Champion’s script about an alien bounty hunter to art by competition winner Luke Pearson. 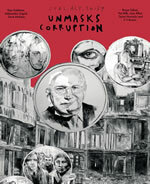 But lastly, while Unmasks Corruption is an unquestionably dark read, it isn’t ultimately a nihilistic or bitter collection. ‘I was concerned at first that if all that this anthology gave people was a litany of how corrupt the world is, it would be pretty depressing and unmotivating,’ states Gravett. Could give me a brief ‘in-your-own-words’ overview of Ctrl.Atl.Shift and what it does/stands for? In a nutshell they are a charity dedicated to raising political awareness and positive activism especially among the young and they’ve been very creative in putting across their ideas through a variety of media. So why corruption specifically? Purely because of the depressing broadness of the subject making a good target for multiple artists? Or was there any conversation or thought process directly responsible for Unmasks Corruption? This is Ctrl.Atl.Shift’s particular focus right now and by casting our net very wide around the world, from China and Iran to South Africa and India, we can bring to light some often underreported or unreported examples going on now. Why did the comic book medium seem suitable for this particular project? Far from dumbing down and being simplistic, comics are engaging, interactive, accessible and sophisticated. They offer a range of ways to convey stories and messages through pictures interrelating with words, sometime in pictures alone. You have to be alert. Sometimes what you read is also what you see, but equally, you can spot the contrasts, counterpoints or total contradictions between the text and image. There’s a real power in drawings to encapsulate ideas and psychological states, to show you what may not exist in any video or photos and especially to deal with the fine line between reality and fantasy or nightmare. Was the idea of a ‘typical’ comic/graphic novel demographic something that informed this project? We’ve obviously somewhat moved on from the days when people think ‘graphic novel = dumb comic book about superheroes’, but at the same time a guess I would imagine this to be most likely seen by young-ish, hip-ish, nerd-ish males. Is that fair? What sort of ideological overlap do you find in your Comica/Ctrl.Alt.Shift roles..? Women make up more and more of the readership of graphic novels, and the creative talent too, and this is reflected in their attendances at Comica, growing year on year. Since 2003, Comica’s outlook has always been to connect comics to all the other media and to cultures and issues from all over the world - with guest like Joe Sacco, Marjane Satrapi, the Bitterkomix group from South Africa, Sarnath Banerjee from India. More than an overlap, it proved a perfect fit. How did you go about finding writers and artists for this project? An almost surprising number would appear to have first hand experience - had you targeted them specifically? Between my co-editors Emma Pettit, John Harris Dunning and me we have a wide range of contacts with both established and upcoming comics creatives both in the UK and abroad. We canvassed quite a few and considered each proposed storyline on its merits. We definitely wanted striking autobiographical experience to be a major element here. It’s a shame but sadly understandable that two of our contributors, from Iran and China, have had to be anonymous for fear of reprisals. I’m assuming they were given a fairly open remit? There’s an awful lot of contrast here… was there some effort made to ensure the same ground wasn’t covered twice..? 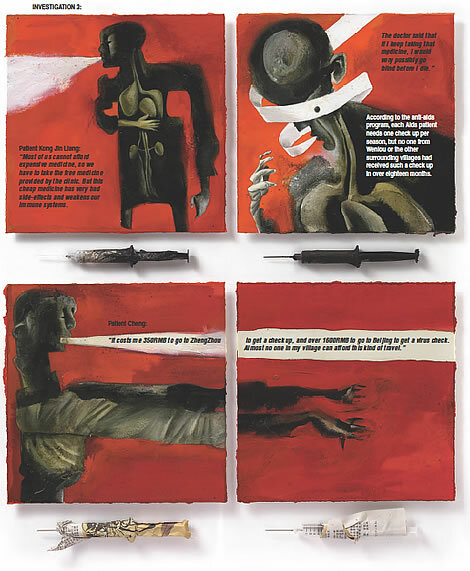 Definitely important not to duplicate corruption stories and to commission a variety of approaches from the very specific and even personal, to broader overviews and perspectives, such as Dan Goldman’s wordless indictment of America’s enslavement to drug companies. As I say, a number of the writers clearly have first hand experience of the subjects in question. At the same time a number clearly haven’t… are you sensitive to possible accusations of this being a Western product that by and large takes aim at corruption in the developing or Eastern world? I’m thinking of something like the Pat Mills’ story - coup though it is to have him and widely reported though that situation was. Pat worked closely with an Iranian informant who gave him exceptional access to what is happening there and its effects on ordinary people, aspects often missed or glossed over in our media’s coverage. 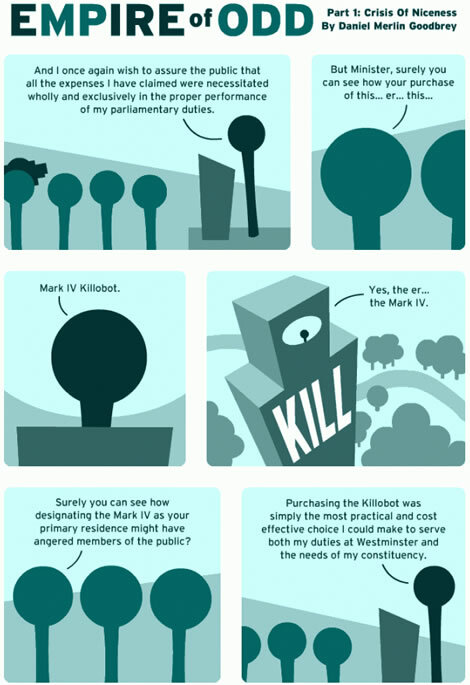 As for the East-West question, we strove for some balance and certainly expose as much corruption on our doorstep as a world away, including a special online satire of the British MP’s expenses scandal by webtoonist Daniel Merlin Goodbrey. It’s being serialised on Ctrl.Atl.Shift’s blog. Another story by Janek Koza about a sinister scam by ambulance men and undertakers in Poland is published specially in this month’s Art Review. Speaking of Iran… Persepolis would seem to be a high watermark in terms of a graphic novel that’s a) politicised and b) has broken through into the wider public consciousness. Did its success inform Unmask Corruption in any way? Obviously you got Marjane Satrapi on the judging panel - did you approach her to do a strip? Marjane was too busy directing a live-action movie based on her graphic novel Chicken With Plums, but she was very encouraging about the project and helped as a judge. 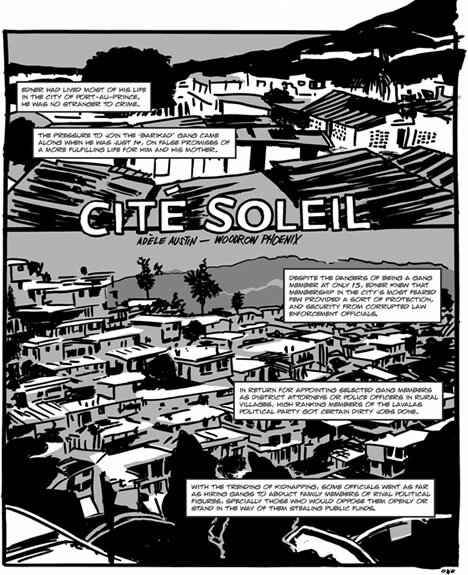 Like Spiegelman’s Maus and Sacco’s Palestine, Persepolis has opened the door for many more autobiographical comics dealing with political issues and connected to a public hungry for a highly personal way to understand and relate to what can seem like baffling situations and unfamiliar cultures. 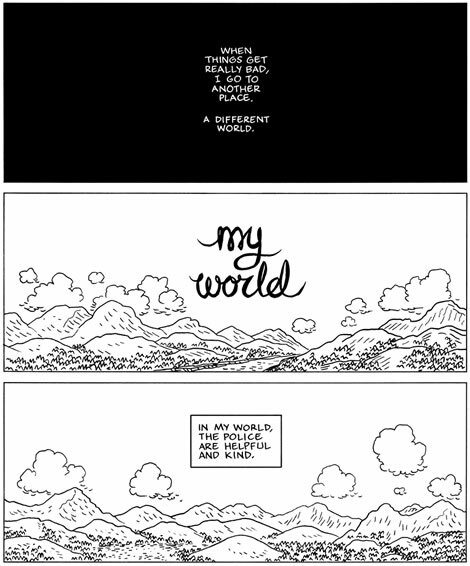 It’s the intimacy, the hand-drawn, hand-lettered individualism of comics that can speak so grippingly to readers. Why have the collaborative competition? Why choose Dev/Lightspeed as the artist to do it? And how did Dev get involved in the first place? Emma knew Dev was really into comics and graphic novels, not just reading them but developing his own. So it was exciting to invite him to get involved and hopefully bring more readers who know his music to discover comics too. The competition had an amazing response, proof positive that Britain definitely has got “comics talent” - we wanted to find a way to give an emerging artist a showcase and help their career. Is this an activist work as such? Is there an outcome you would like from its existence? Clearly some pieces - like Benjamin Dickson/Warren Pleece’s - will raise more awareness than, say, Lightspeed Champion’s science fiction strip Behold, King Listpin III. Yes, the goal is to engage. As for the overall impact of the book, I was concerned at first that if all that this anthology gave people was a litany of how corrupt the world is, it would be pretty depressing and unmotivating. The great thing is it’s a wake-up call, a chance to hear voices that all too often are drowned out in our media circus. 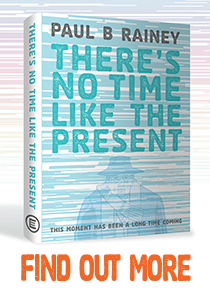 Even those fantasy stories, like the best speculative science fiction from 1984 to Judge Dredd, are actually commenting on our present-day society and state. It’s not all gloom-and doom, there is real passion, and anger, in the ink on these pages, as well as optimism, activism and hope that each one of us can make a change. The story from Thailand for example shows the success of system where citizens’ petitions can force an enquiry into a corrupt official and get results. Dylan Horrocks from New Zealand closes the book with a wonderfully contemplative piece imagining “My World” and encouraging us all to imagine our own better future. Because change comes down to each and every one of us. Ctrl.Alt.Shift Unmasks Corruption anthology is available to buy from Nov 6 (£4.99) from www.ctrlaltshift.co.uk and good comic retailers. It is exhibiting from Friday 6 until 28 November at London’s Lazarides Gallery. The article first appeared in the London free newspaper Metro on Tuesday 3 November 2009.